I want to let you know of an upcoming event you might want to attend. What: Trust Summit: Chris Brogan, Julien Smith, David Maister, Charles H. Green (that last one’s me). Cost: $25 in advance, $30 at the door. Limit 300 attendees. 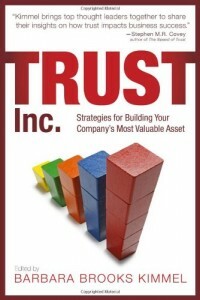 Chris and Julien are co-authors of the current best-selling book Trust Agents. 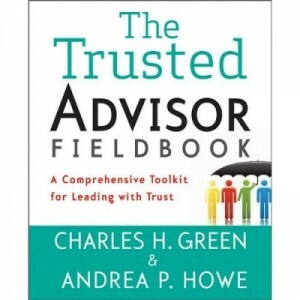 David is my co-author, along with Rob Galford, of The Trusted Advisor. I first met Chris and Julien as they were writing their book. I found them very engaging, and masters of new social media. But what has really impressed me is their ability to apply new media technology in service to greater trust in business. They are walking role models in that regard – they walk the talk. It was Chris’s idea to have this meeting, and I enthusiastically supported it. We’re looking forward to a great breakfast with spirited dialogue between the four of us, but most importantly between us and you, 300 of our closest friends. First, my BusinessWeek.com article of earlier this week, titled Wall Street Run Amok: Why Harvard’s to Blame. That intrigued the good folks at CNBC, who put me on October 7 with the header "Is Harvard to Blame?" Host Melissa Francis played up the Harvard angle with mock outrage, but it’s all in fun—and a pretty good (albeit fast) take on how we create business environments that nurture trust. Both—I think—are good entrees to teeing up the broader issue of trust we’ll be discussing in New York.